How fun and emotional touch to be married by your grandfather, what happened on this Springs Preserve Las Vegas garden wedding ceremony. After the first kiss as husband and wife, the wedding couple exits the ceremony space down the aisle. 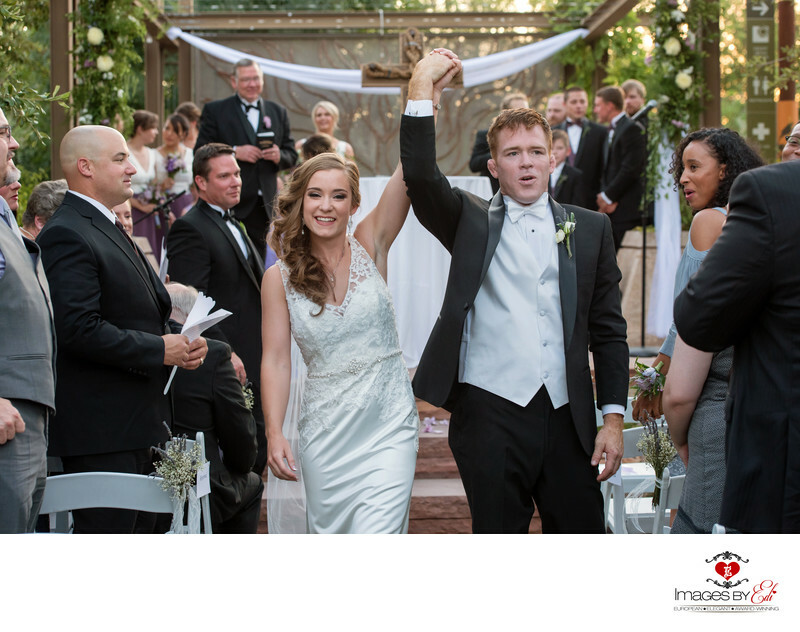 The couple is smiling, while holding and lifting each other's hand in the air walking into their married life, while their guests are cheering or just watching them, like her dad and grandpa after the emotional ceremony. The wedding recessional is the end of the ceremony itself.